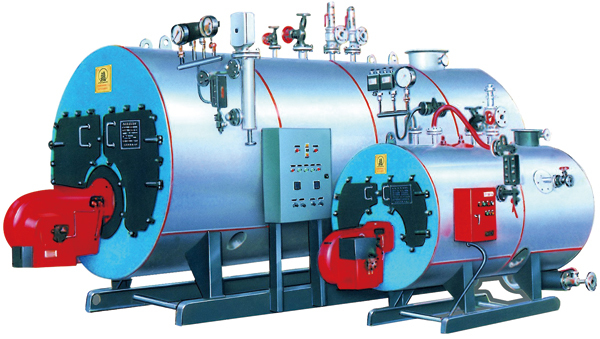 WNS oil (gas) fired steam hot water condensation boiler. External integrated fin tube type economizer. Independent condenser, compact structure, convenient repair, the energy saving effect is remarkable. Thermal efficiency could 100% according to low calorific value of fuel. At user request, boiler could use PLC control, and reserve interface remotely operated. Use the wet liner structure, furnace heating surface wave back, symmetrical layout, effectively reduce the thermal stress, improves the safety and life of the boiler. Using the thread smoke tube to improve the heat transfer effect of flue pipe. Boiler heating surface layout reasonable, high thermal efficiency, fast start. 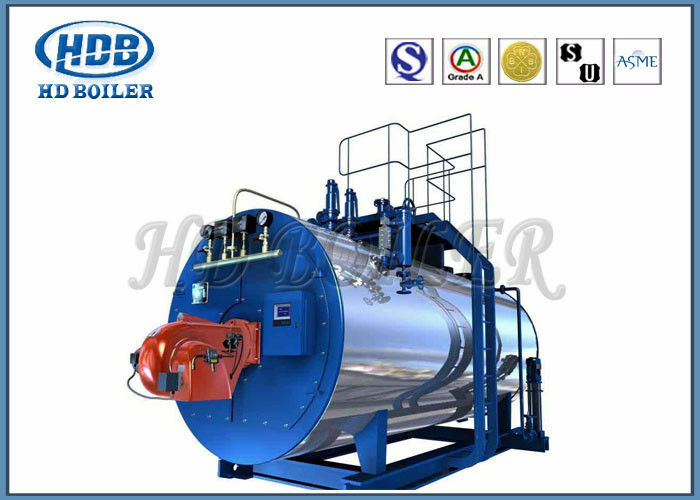 The steam boiler combustion chamber adopts low position, so that the boiler water level safety range is larger, the boiler steam is larger, the steam quality is well guaranteed. Using the international well-know brand burner and advanced automatic control system, the combustion is more stable, more convenient operation, operation more safety. Boiler structure is compact, small footprint, fast installation. Quality control and management to the whole produce process, including ingot smelting, hot-rolling, heat treatment, machining and strictly final inspection prior to delivery.